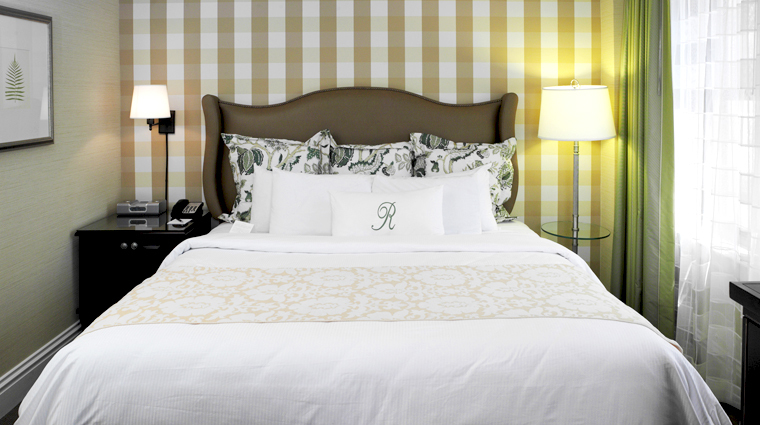 The Raphael Hotel takes inspiration from Europe’s boutique luxury hotels and delivers a unique experience in Kansas City. 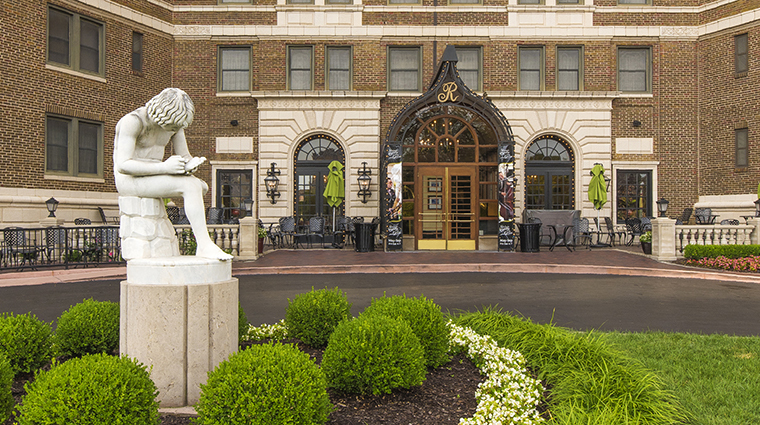 Located among the stucco walls and scattered fountains of the bustling Country Club Plaza district, The Raphael Hotel sits near the city’s most lively nightlife, shopping and dining. The original building was erected in 1927 and is now listed on the National Register for Historic Places. 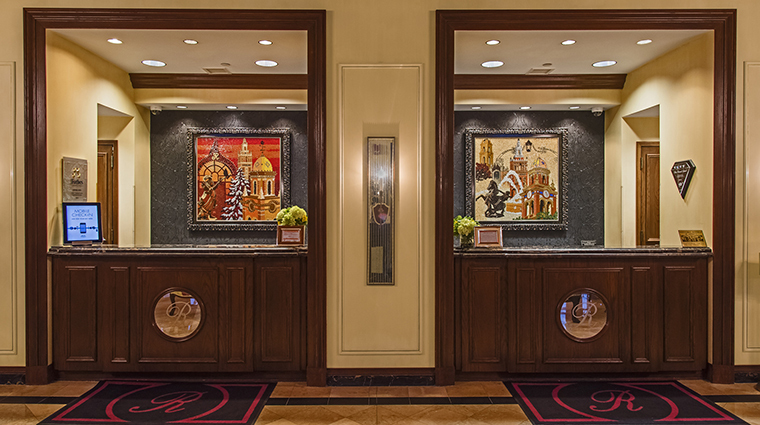 It’s been updated and renovated since, but you’ll still feel the grand 1920s ambience in preserved original features and the décor. 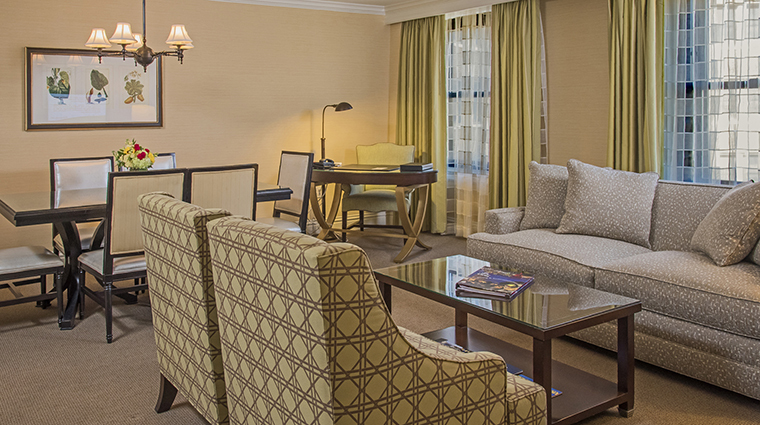 In the midst of the all the Old World charm, you’ll find contemporary conveniences such as a high-tech business center, dry cleaning services and the sophisticated modern American restaurant, Chaz on the Plaza. Since this is a smaller boutique hotel that was actually built as the Villa Serena Apartments in 1928, you’ll feel like you’re staying in a vintage apartment building with your own doorman. It’s a great location for those who are interested in shopping along the glitzy Country Club Plaza just across the street where you’ll find high luxury shops and boutiques, as well as an array of restaurants from fine dining to Starbucks to get your daily coffee fix. 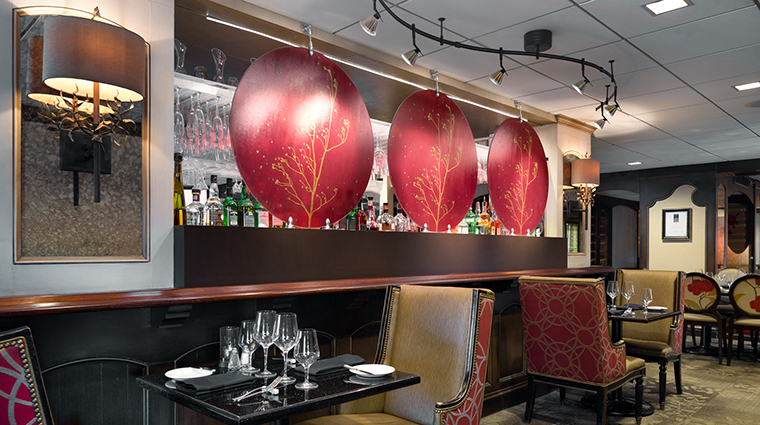 Located on the lower level, the hotel’s fine dining restaurant — Chaz on the Plaza — is just as charming as the hotel. You’ll be treated to chef Charles d’Ablaing’s delicious American cuisine, which was partially inspired by his upbringing in the South. 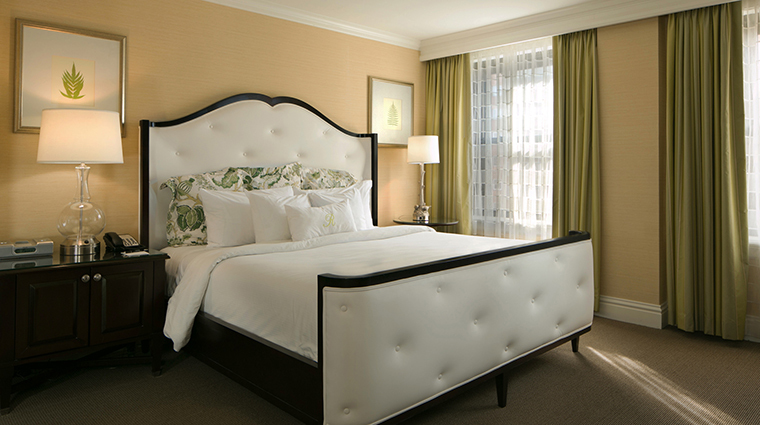 The boutique Kansas City hotel offers one of the best beds we’ve slept in. The beds here are so comfortable and we loved the bedding that included a pillow-top mattress, a plush duvet, and numerous king-size pillows. You’ll find live music every evening in Chaz on the Plaza and during weekend brunch. The Raphael also showcases live jazz and other performances, weather permitting, from May through September on the patio as part of the outdoor summer entertainment series Strings on the Green. 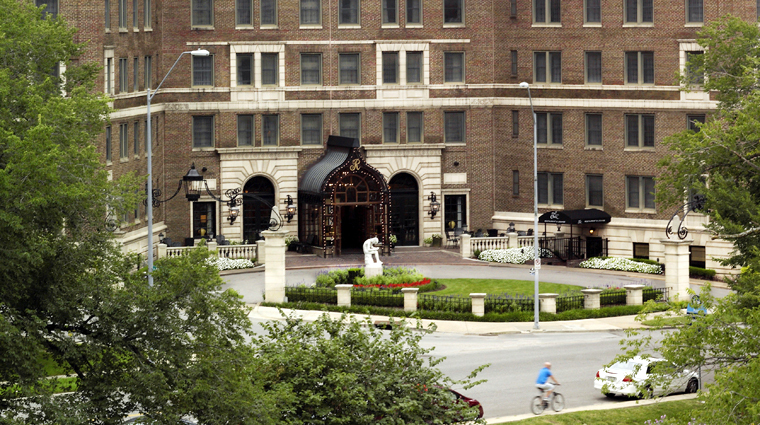 This Kansas City hotel is not located downtown but its not too far either — it’s just a quick drive to downtown and other popular spots. This boutique hotel is outfitted with a decent-size fitness center but you won’t find a pool or spa. 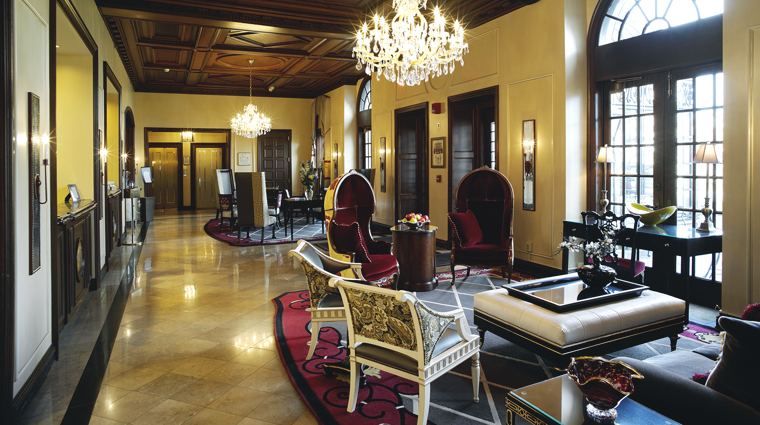 This beautiful historic building has been The Raphael Hotel since 1975. 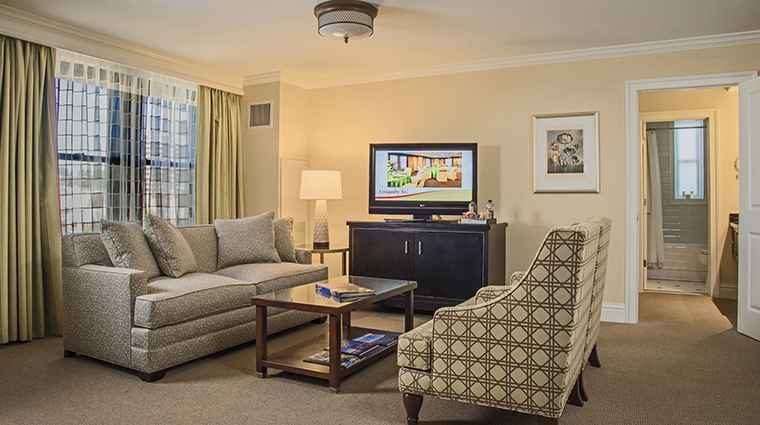 It’s charming, comfortable and clean and has everything you’ll need but is not super modern. 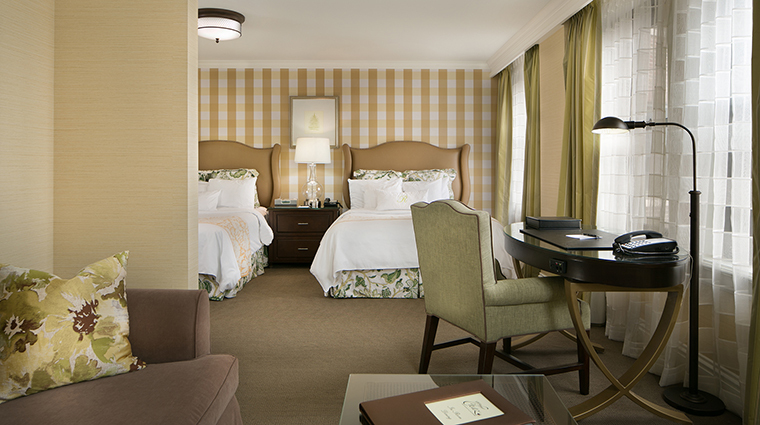 Most rooms here are decorated and furnished with the same European vintage charm. 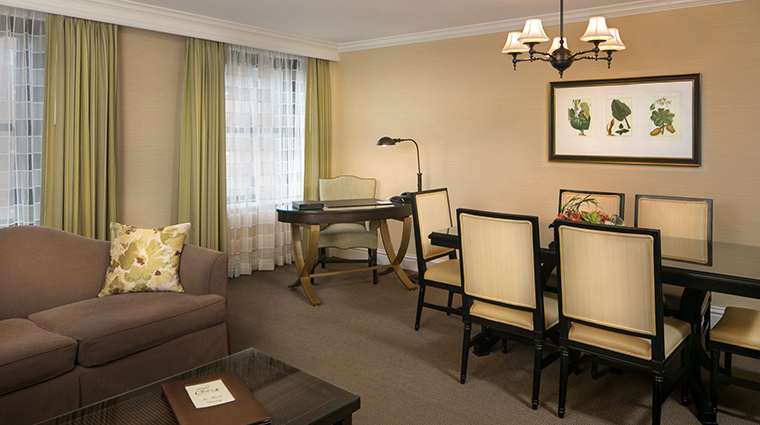 You’ll find lots of neutral colors in the room along with dark woods, which give it a regal and classic feel. Gilt-framed mirrors, gold lamps as well as large windows, white crown molding and marble flooring in the bathroom add to the sophisticated feel. 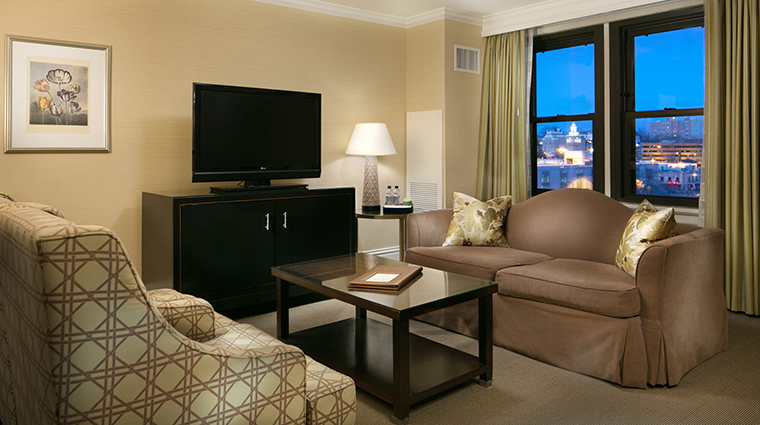 The rooms are outfitted with a mini-bar area with a Keurig coffee maker complete with coffee and tea. The bedrooms have large flat-screen TVs and a massive dresser, along with a closet that’s adequate but on the smaller side. Chaz on the Plaza is a sophisticated but inviting restaurant serving modern American regional cuisine. The interior’s warm blend of crimson and gold hues creates a cozy, clubby vibe. A custom mural of historic Country Club Plaza honors the neighborhood’s landmarks, while the restaurant itself welcomes local musicians to its small stage nightly and during weekend brunch. 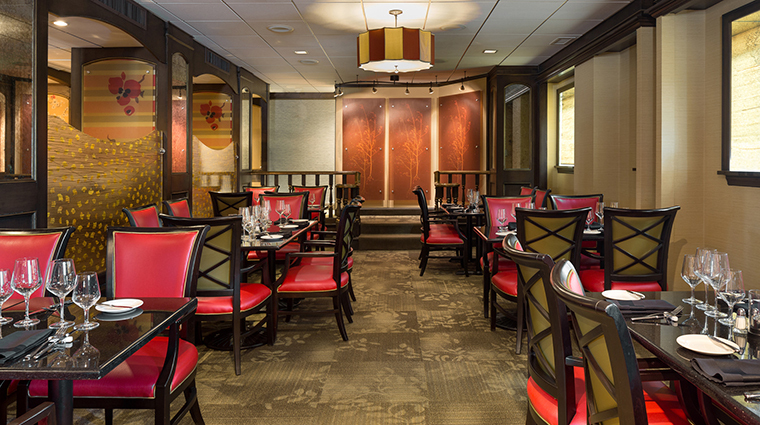 The Forbes Travel Guide Recommended restaurant serves breakfast, lunch and dinner; a few standout dishes include the lobster eggs Benedict, banana foster French toast, braised shrimp and grits, the Chaz burger and the popular prime, wet-aged Kansas City strip steak.